Owners and buyers alike feel that it’s their right and responsibility to know exactly what a business is worth before signing any contracts or making any serious commitments. However, the results of a business valuation and the eventual business selling prices can often differ. Just because you arrive at a certain figure using business valuation tools, that doesn’t necessarily mean it will sell for that exact price. 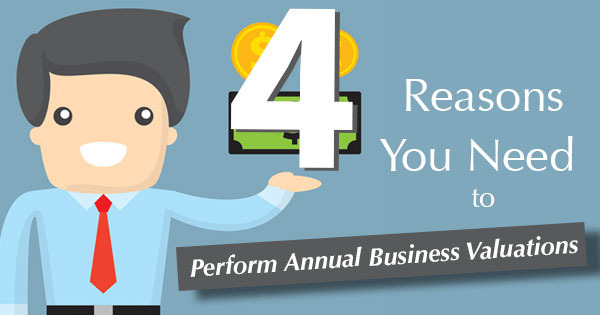 Yet time after time, business owners and buyers are surprised when the two numbers don’t match their expectations. The question of why a business owner would sell their company for more or less than what it’s truly worth is one that gets asked all the time. Here’s one way to think of it: selling a business is actually the most accurate business valuation tool, as only the actual sale price can truly tell you what a business is worth. And the truth is that business valuation tools are mostly economic analysis exercises. Unsurprisingly, a company’s financial information is essential to the process, but not the determining factor. For instance, to perform the most accurate business valuation services possible for a small business, it’s important to have three to five years’ worth of income statements and balance sheets available. However, even with all of that information, the buyer and seller will ultimately have different goals in mind. After a business valuation report comes in, the negotiation process hasn’t necessarily even started yet. In the vast majority of cases, the overall cash flow of a business must meet several requirements in order for any deal to make financial sense to all participating parties. Debt services on any bank loans is another reality that any buyer has to deal with. If a business isn’t at least breaking even, then they may understandably want to acquire the business at a lower price. Despite the fact that some businesses aren’t breaking even according to small business valuations, some do sell for much higher than their calculated value. This could be a result of many different factors, but the most likely cause is that the company is providing a uniquely necessary product or service to its customers (think about companies like Facebook). There are a lot of things that go into determining a business’s value, and not all of them fit neatly into a spreadsheet. That being said, never underestimate the value of a quality spreadsheet and the best business valuation tools. There are 26.5 million businesses currently operating in the United States, and no matter their size, they should all be valuated at critical points in their lives. However, there is a right and a wrong way to value a business. Mistakes happen all the time, but when there are mistakes in business valuation reports, it can seriously harm a business. Here are a few mistakes that can lead to overstating business value and how to avoid them. Many times when business owners want to retire or are ready to sell their business, they may deliberately neglect the repair or replacement of equipment necessary to run their business. In turn, they may lie to business valuation services about the value of their assets. However, doing this may distort the values reached by business valuation services. In addition, new owners may have to shell out additional funds to pull the business up to where it needs to be. 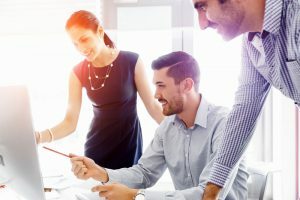 Some business owners may seem like they’re doing well, but they may simply be skilled at running their businesses on “vapor”, meaning they use credit generously granted to them by select vendors to reduce working capital requirements. These business owners may be able to raise capital for family and friends, but a new business owner may not have the credit necessary. Employees are the life force of every business. In a small business, the owner often performs key roles. This is called “sweat equity.” However, if a business sells, it may be extremely difficult for the new owners to find employees to fill those key positions. 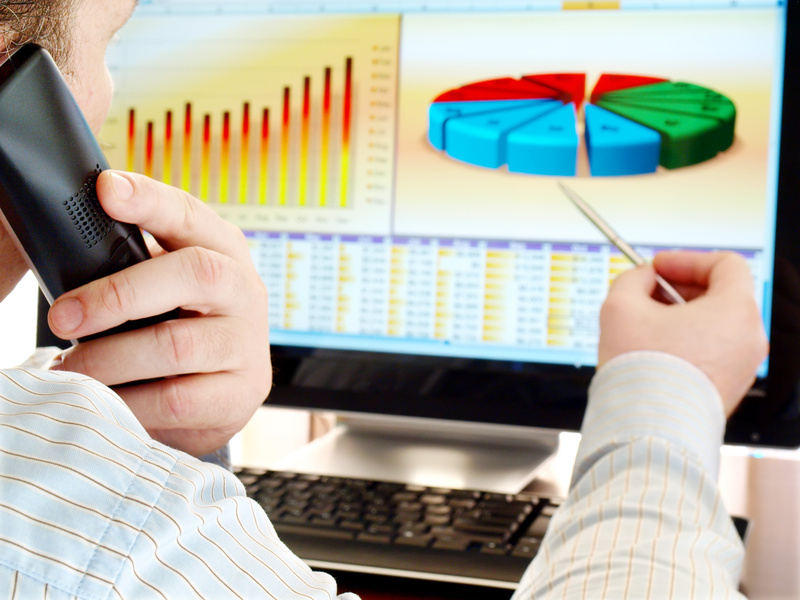 Business valuation tools rely on exact numbers to create their total. However, if there are businesses that are highly efficient and find a way to circumnavigate operating costs. However, if a business is looking to sell, then it may be difficult for new owners to replicate their efficient process just by looking at the small business appraisal. Business valuation is an important process for countless business owners that can seriously affect their decision to retire, sell, or even continue with a startup project. Find out exactly where the value of a business stands by starting your free trial of PeerComps today! Contrary to popular belief, not all assets are tangible or even capable of bringing in revenue. These things are called intangible assets, and though you can’t see them, they’re still essential to your business. However, that doesn’t mean they’re easy to understand at first. These assets can boost your business value, and once you understand how, your next business valuation services appointment will be a pleasant surprise, rather than an ice-cold reality check. Intangible assets are, simply put, the long-term assets of a company that do not have any tangible existence. Intangible assets often come in the forms of copyrights, goodwill, non-compete agreements, patents, etc. Of the 26.5 million businesses currently in the United States, most fail to realize the value of their intangible assets. A trademark is any symbol, name, mark, word, or letter used by a company in order to differentiate one from another within market. It provides visual differentiation from other companies on the market, and can play a role in increasing a business’s value if it’s widely known and respected by consumers. Copyrights grant a company rights to design, manufacture, and sell its unique products or services. For example, if you create any intellectual works related to your business, those need to be copyrighted to ensure you have complete rights to them. Believe it or not, your employees play a vital role in small business valuations. They are another form of intangible assets, as their skills and knowledge play a major role in how well a company performs. 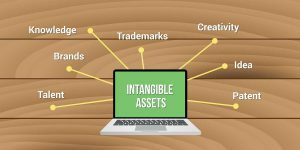 Certain types of intangible assets are more valuable than others. Intangible assets such as intellectual property, knowledge, and relationships often play an outsized role in contemporary businesses compared to traditional assets like equipment, machinery, and technology. However, the development of these intangible assets is essential to the long-term life of a business. Of the 5.4 million firms with employees operating today, seven out of 10 new firms only survive about two years, and a big part of that is a lack of intangible assets. Any business valuation firm will tell you that it’s important to keep track of all of your assets, both tangible and intangible. Business valuation services take all of those things and use them to complete any number of comps valuations. You may not think much of these assets at first, but they could make or break your business value! Now is the perfect time to get most reliable small business comps and comprehensive valuation available, and see how much of a difference working with Peer Comps can make. Start your free trial today. Determining the value of your business is important, and for more reasons than you may think. Not only can it help you determine where you stand as a business owner, it can help you project goals for the future, as well as correct mistakes from the past. The two key components in establishing a business’s worth are determining why business valuation services are needed, and assembling the necessary information. That said, here’s what you should know about determining the value of your business. Why should a business owner perform a valuation? Some valuations, often called “have-to valuations,” must be done as a direct result of an event, such as the death of a shareholder, a charitable contribution, or the allocation of assets. These business valuation reports must be filed to document the market value that was either gained or lost as a result of the event. However, other valuations are used to make important decisions about the future of a business. Of the 26.5 million businesses in the U.S., every single one has probably needed a valuation done at some point or another. With 99% of those businesses having less than 500 employees, valuations are all the more important. It allows owners to decide whether or not to expand, as well as make other financial decisions for the advancement of a company. Is there a specific time frame in which valuations should be performed? Business valuation tools can be used at any time, but in “have-to valuation” cases, the valuation must be completed within a certain amount of time. The length of the time frame varies based on the event, but the fact remains the same. Other business valuations don’t have a specific time frame, and can be done at any time. Despite the lack of official requirement for valuations, it’s important for business owners to know the value of their business at all times. Why are business valuation firms important? 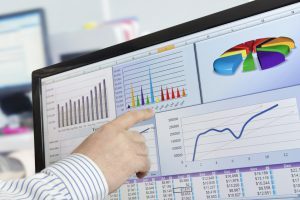 Business valuations are becoming increasingly important in today’s market for a variety of reasons — especially in fields such as corporate accounting, which works to improve financial reporting. So far, the industry has relied on scattered sources for valuation, but new technology will allow a more standardized and streamlined process. The firms that provide these services can help business owners make decisions for their personal future and the future of their business. Performing a valuation on your business is always a good idea, especially if you’re starting to think about estate planning or simply looking for ways to increase your business’s worth. Starting a small business can be tough, and even tougher if you don’t know where you stand financially. Of the 26.5 million businesses in the United States, the majority use business appraisal valuations to determine the value of their business. In a constantly changing economy, keeping track of your business’s value is more important than ever. Not sure when to perform a business valuation? Here are four situations where business valuation tools will be useful to you. One of the most important things to keep in mind when starting a business, especially a small business, is who will want to invest in your company. Nearly 543,000 businesses get started each month, but even more than that shut down. Business appraisal valuations can help project future financial status and convince investors to stick with you in your venture. Not only that, but it can help you determine how much your business may be worth in a year’s time. Odds are that investors are going to want to stay in the loop when it comes to the value of your business. 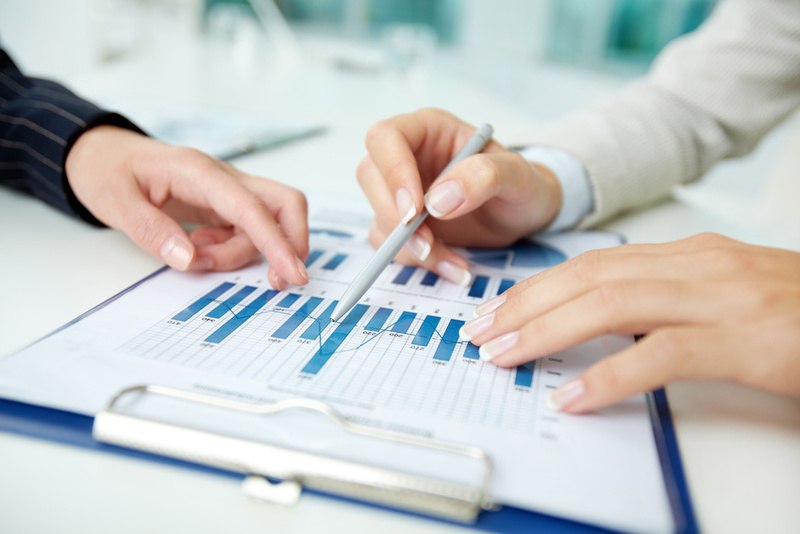 Business appraisal services can provide you with quarterly or annual reports to include in presentations for investors and stockholders in your company. This can provide a sense of pride for you, and a sense of security for the people who are backing you financially. In order to begin fundraising for your business, you need to know the value of your company. If you can’t tell potential donors how much your business is worth from the beginning of your fundraising campaign, then you may not have many donors. Similarly, if you’re applying for a loan from the bank, it’s essential to have a business appraisal valuation in hand. Banks will often require you to use your business as collateral for a loan, and if it’s not valued at a certain amount, then you’re out of luck. Determining your business’s fair market value is essential when you’re trying to sell. Assessing your business and investing in a business valuation report could mean the difference between selling your company and failing. Not only that, but business valuation will help you determine the key areas of value in your business and alert you to offers that are either too high or too low. Determining why you need business valuation is often the most difficult part, but it is one of the key points in establishing what your business is worth. Don’t let your business sputter. Take the necessary steps to assess your situation! To small business owners, their businesses are typically the most valuable asset in their portfolio. However, determining or calculating the value can be tedious and costly. But with 26.5 million U.S. businesses out there and more employer businesses shutting down each month, it’s important to understand your company’s value. Third party business valuation analyses are detailed and require a significant amount of research and due diligence, but can cost thousands of dollars. However, it’s important to remember that business value isn’t absolute. Rather, it’s a process that helps to measure the worth of your business, depending on two major elements: how you measure your company’s value and under what circumstances you do so. If a business owner isn’t looking for a full business valuation report and instead are only trying to determine a “ballpark” value for their business, there are other options. Some appraisers will offer an abbreviated or limited scope report known as a calculation of value (or desktop appraisal). These are typically based on a limited amount of due diligence and the report is only intended for the owner (not outside sources such as attorneys, CPAs, etc). 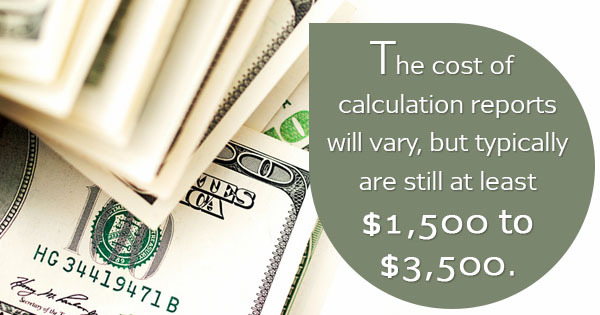 The cost of these reports will vary, but are typically at least $1,500 to $3,500. There are multiple online sources that offer everything from rules of thumb to actual business valuation calculators. Our firm developed one specifically for small to medium sized businesses called PeerComps, which focuses on actual comparable transactions (“comps”). The company valuation tool, or value calculator, is intuitive and based on real-world transaction data. The user simply inputs basic financial data and industry info, and it answers various questions about the business. The model takes about 15 minutes to complete and provides a 15-page calculation of value report. The two options above are typically used for internal purposes only. A third party business valuation completed by a qualified appraiser would be used for purposes such as estate tax preparation, divorce, employee stock ownership plans, partner disputes (or any litigation), or lending. However, using an online tool or business valuation calculator could help determine a reasonable value to see if an owner wants to move forward with a more “formal” report. In the United States today, there are roughly 26.5 million businesses in operation. That’s quite a lot — if America operated under a “one business per person” model, then one out of every 10 people would be a business owner. While that isn’t quite the case, it isn’t very far off. Each month in the United States, around a half million business start up. While that seems like a very impressive rate of growth, it isn’t. At present, more businesses close down each month than open up, which represents a growing problem (or at least a shift) in our economy. Around seven out of every 10 employer firms hit the two-year mark and beyond. Only half of those businesses will stay up for five years or more, and a respectable third of them will remain in business for 10 years. Respectable still, a quarter of businesses will be open for 15 or more years. So, the news isn’t all bad for our workforce. This trend of businesses closing down before they’re able to flourish could partially be avoided by having a business appraisal valuation. Small business valuations are one of the more accurate assessments of a business’s worth available in the marketplace today. 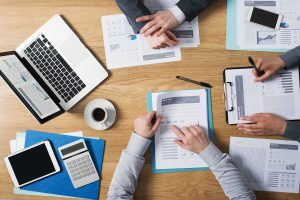 When undergoing a business valuation analysis, it’s common to submit a wide array of necessary documents to the business valuation firm that will be providing your organization with its reporting. Financial statements, invoices, etc. — they allow the firm to get an accurate picture of what your organization is worth. If you or any other business owners that you are familiar with can stand to benefit from any of the information above, feel free to share it. A business valuation analysis can help get a lot of business proprietors out of hot water by providing them with the information they need to plan their budgets intelligently. Most people aren’t too aware of exactly how many businesses there are in the United States, or how big they are. All we really ever hear about on television is how businesses are overwhelmingly preferring to do business overseas, and are increasingly opting to build their operations on foreign soil. While this is true in specific cases, there are actually a very large number of businesses operating in the United States today. By our own standards, many of them are “small businesses,” or businesses with less than 500 employees. If somebody asked you to guess what percentage of American businesses were considered small businesses, keeping the above metric in mind, what would your guess be? Half of them? A quarter of them? The actual number is 99.7% — much higher than most tend to guess. With that relatively small amount of employees (compared to some of the big corporations out there today), small businesses aren’t generally able to support a team dedicated to assessing asset valuation and earning potential. It’s a difficult and tedious figure to accurately determine, and that has historically prevented businesses from operating with a complete knowledge of their exact positioning in the business world. Thankfully, those days are over. Business appraisal services are quite popular now, and have left the days of guessing or devoting hundreds of hours of labor into calculating your business comps long in the past. All a business needs to get started today is a working understanding of why they need or want a business valuation — usually easy enough to come up with — and all the required pieces of the puzzle that valuation software needs in order to produce a figure. Once this has been done, a valuation can take place. Small business valuations are so accurate, and the algorithms at play so sophisticated, that the very need of your business for a valuation affects the final outcome of the report. Alongside this, they’re known to measure how your business measures value, and under what circumstances. Your business deserves a business valuation report. Don’t delay in having small business valuations experts look at your organization. mall business comps are probably the most reliable way for a small company to gain an understanding of how much their operation is actually worth. Now, in matters of business, things get a little more complicated than simply measuring a company’s budget. Otherwise, businesses would not need to seek the services of a business valuation firm, or any other entities that perform these calculations. Businesses choose to have a valuation performed because of the benefits they stand to gain from them. Knowing their true earning potential and being able to better assess risks allows businesses to operate with more confidence than their small business counterparts which have not had a valuation of any kind performed. A lot goes into a valuation. Small business comps are complicated and look at factors which may seem counterintuitive or irrelevant. For example, the very act of requesting small business comps or a comps valuation directly affects the rating a business would earn. Since a small business comp is essentially a measurement of a business’s worth, which is extremely subjective (even with hard data, as there are different sorts of “value”), the results are never absolute. How a business measures value and the circumstances they measure value by are key contributing factors in determining the score or value a business ultimately earns. Despite their complexity, business valuations generally emphasize the usage of two types of documents. Company financial information is obviously of paramount importance, so income statements and balance sheets are easily some of the most important documents in the process. 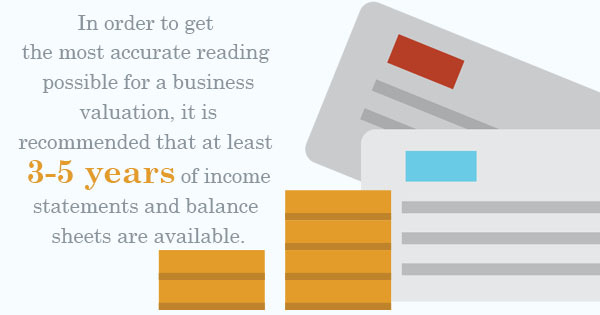 In order to get the most accurate reading possible for a business valuation, it is recommended that at least three to five years of income statements and balance sheets are available. If you can provide these things and have determined why you need a business valuation, you’re more or less ready to have one performed. They may take some time, but there are virtually no better ways available to gain a true working understanding of how much earning potential your small business currently has. Business is, well… It’s big business in the United States! Starting and operating your own business is as much a part of the American dream as white picket fences and apple pie. People have been travelling to the U.S. to achieve their hopes and dreams since even before the nation’s inception. You’d be hard pressed to find another country where starting and operating a business is so possible. It can still be tricky — it’s definitely not always easy — but the new, up-and-coming business feels right at home in the United States. 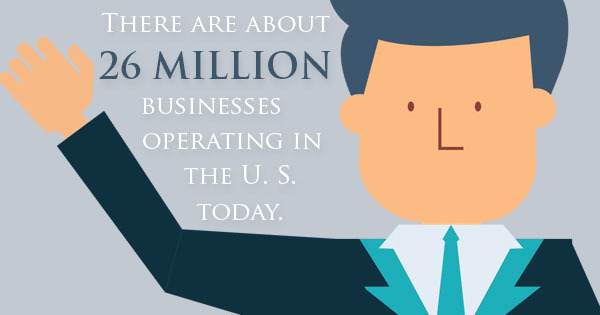 In total, there are about 26 million businesses operating in the U.S. today. That’s about one-twelfth of our population. Granted, there are some individuals out there who own more than one business. In fact, there are businesses whose entire modus operandi is to buy and sell businesses. So it’s not exactly like one out of every 12 Americans owns or operates a business. On the other hand, the amount of commercial entities in operation today weighed against our population paints a picture not too radically different from that. Americans love to start, sell, buy, and run businesses. Business valuations, a tool used to analyze the viability and survivability of a business, have given us some interesting insights into how these businesses are operating. Of the 26 million businesses currently running today, only around 5 million have employees! If you’re at home or at work and you’re following the math on this, that’s around 21 million businesses in operation today that don’t even have employees! To bring the point home, only .3 percent of businesses in the United States have more than 500 employees. Without company valuation tools like these to perform small business valuations, we would have much less insight into how these companies actually functioned. Business valuation services not only benefit the businesses having the process performed, but on the entire employment industry. Contact a certified business appraiser today if you feel it’s time to have your business evaluated and analyzed. Copyright © 2018 PeerComps, Inc. All rights reserved.